Right: My room. 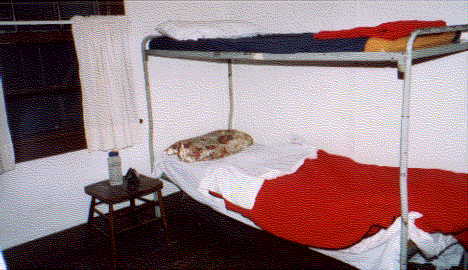 Bottom cot. Open window. Cool breeze. I could here the brook running right outside my window. Heard the birds in the morning. There was only one other hosteller here. She was a school teacher from California. 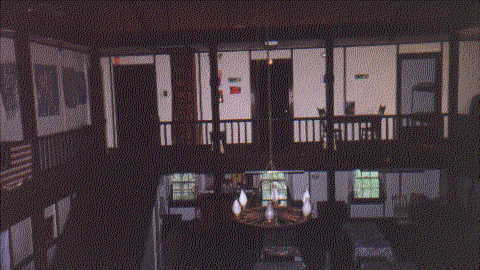 Above: The upstairs rooms. That's mine on the far left. 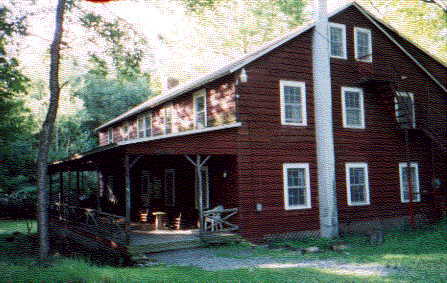 Above: The Poconos Hostel. Excellent end to an excellent journey.